The 18K rose gold Dancing Diamond Wishbone pendant dances with every move you make. The diamond setting is suspended from two fine points in the pendant, allowing it to move freely and dance with every heart beat. 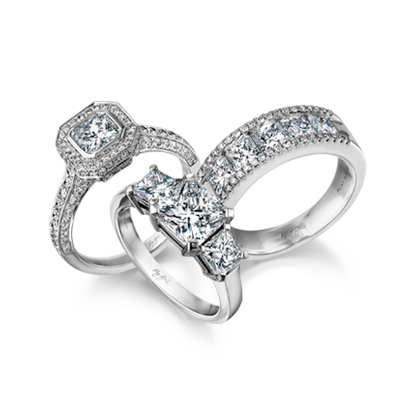 The collection is available in 18K white or rose gold in various diamond sizes starting from 0.15ct. The pendant includes a free silver chain.